I have lived in the Seattle area since 1998. 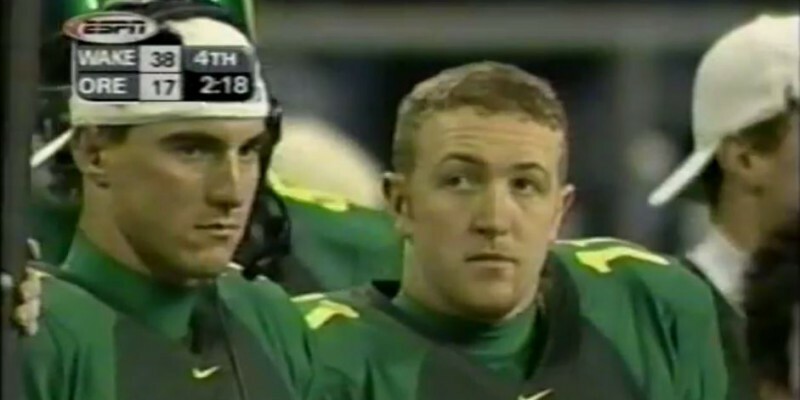 In 2002, I joined over 38,000 others to watch the Ducks finish a disappointing season in the Seattle Bowl. Remember the Seattle Bowl? It only existed for two years, so you might have missed it if you were traveling overseas, not born yet or taking a nap. I remember four things from that day. 1) Losing badly to Wake Forrest. 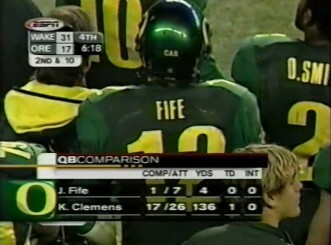 2) Watching a little known redshirt freshman named Kellen Clemens coming off the bench to start the 2nd quarter. 3) Being relentlessly taunted by trolling Husky fans. 4) Still to this day, the most miserable experience I’ve ever had at a live sporting event. Yes, Duck fans, we lost to Ohio State, but we have come a long way since the short-lived Seattle Bowl and getting crushed by Wake Forrest and a quarterback named James MacPherson. If you remember, this was the team that started 6-0, in the first year of the post-Joey Harrington era. Moving as high as the #4 ranking in the country only to lose 6 of their last 7 to finish a dismal 7-6 capped by a lackluster Seattle Bowl performance only left a bad taste in the mouth of fans. Afterwards questions lingered whether the Ducks were truly the rising program they marketed themselves to be. Was it really all about Joey? Was this the begining of the return to the perpetual Pac-10 cellar? Turns out it was not. A month after the Seattle Bowl, a high school senior named Haloti Ngata signed with the Ducks – the program’s first ever 5-star recruit. The next season, Oregon started strong again, beating Michigan at home and finishing 7-5. The buzz generated from the Michigan game likely much more important the the season results. The Seattle Bowl was a small downturn in what would turn out to be a fast-rising program. Yes, we lost to Ohio State. Yes, it was bad. But, this team and this program will bounce back and continue to compete for conference championships and major bowl games. Re-live the Seattle Bowl yourself if you dare, below.